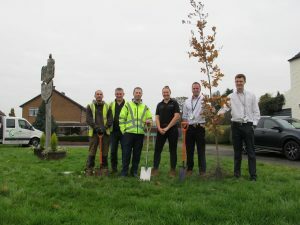 The final phase of the Vinci Construction and Jaguar Land Rover CSR project has been completed. 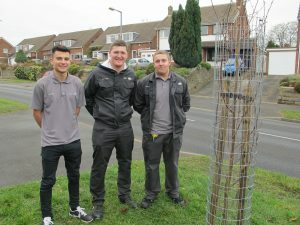 This involved planting 20 trees around Bilbrook on spare patches of grass and along road verges. 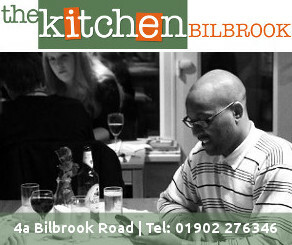 Tree species included Oak, Alder, Maple and Silver Birch. 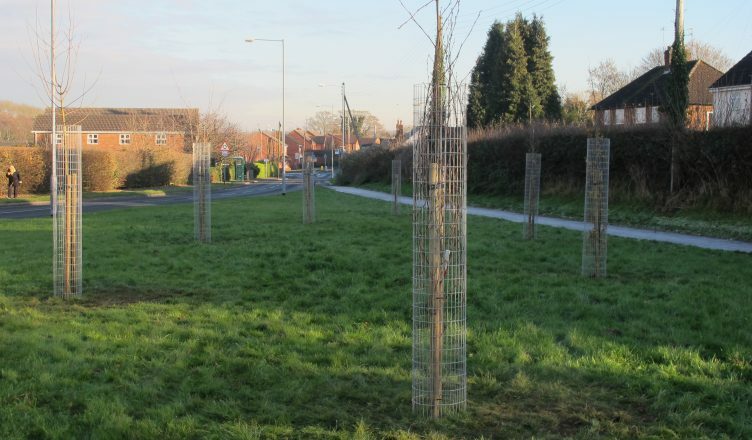 The trees were planted along Bilbrook Road and Duck lane. 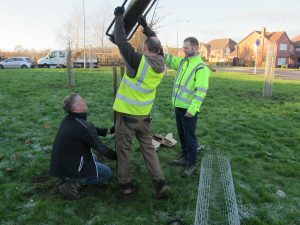 The year long CSR project has seen a wheelchair access gate installed in the jubilee Wood along with benches, information boards and a wildflower meadow. 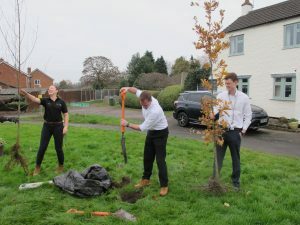 The planting of the village trees was the final phase of the project and brings to an end a very successful partnership between the three organisations which will bring enormous benefit to the village residents and wildlife around Bilbrook. It has been proved that having trees along roads brings many benefits; not only do they contribute to tackling climate change but they also help manage storm water, increase air quality, reduce noise pollution and can also increase the property values of house on tree lined streets. 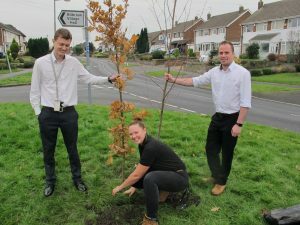 Chairman of the Friends of Bilbrook, Keri Lloyd said, “For many years I’ve wanted to plant trees along the verges of the roads in Bilbrook, some of them look so bare. 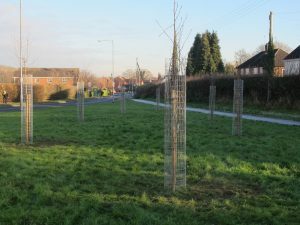 These trees will add visual appeal and colour to the road verges as well as providing habitat for wildlife and all the other benefits trees bring. The species are all UK indigenous and hopefully over the years to come we will be adding more trees to the verges. 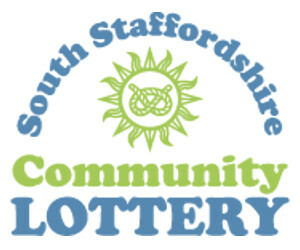 As well as Vinci Construction and Jaguar Land Rover, I would also Like to thank Simon Griffiths the Community Highway Liaison Officer from Staffordshire County Council, Ryan Taylor from South Staffordshire District Council and District Councillor Paul Fieldhouse for making this happen”. Puting in the staks to help and protect the young trees.